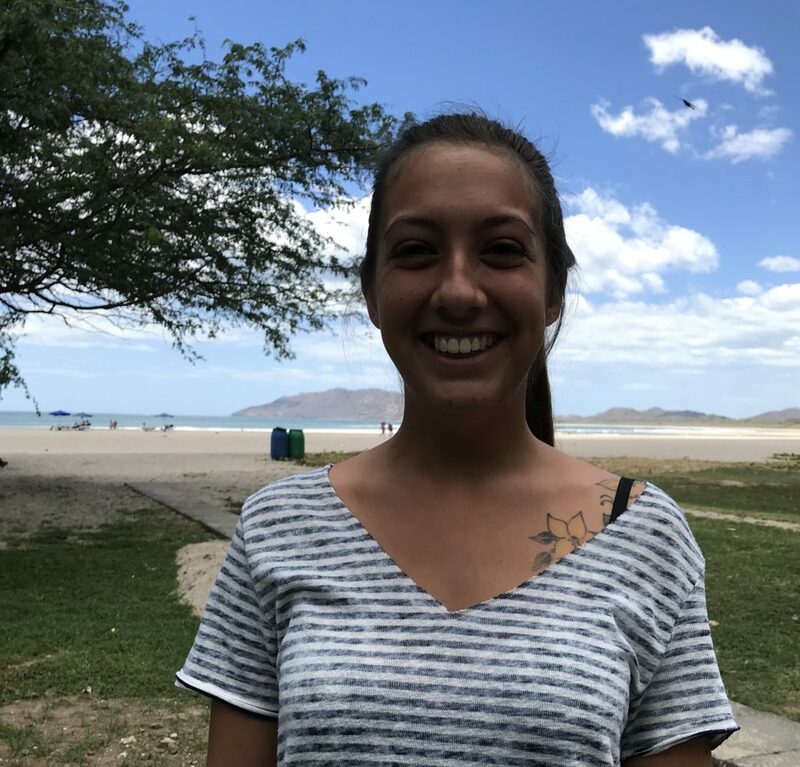 Meet Sara Vargas, a customer service representative at the front desk in the Witch’s Rock Surf Shop. She has been here for two years, and she’s one of the first faces you’ll see when you check in and go through orientation. What’s the mood of guests when they first arrive at Witch’s Rock Surf Camp? This is their vacation, so they are super excited and happy. They also do not know exactly what to expect, so they can seem a bit confused too. But that doesn’t last long. We know that the guests are waiting for us to explain how everything works. Once we get them through orientation, they become more confident and eager to start surfing. Do you see the guests throughout the week? Yes, basically every day. We see them around, which is great. We get to see their faces, their smiles, and by the end of the week we create a really cool bond. It’s really nice. Do the guests get to know each other during the week? Yes, for sure. They all get to know each other by hanging around the camp. But we also see a lot of friends made in the water. We will see that one solo surfer will quickly become friends with a whole group of other surfers. The guests become really close by the end of the week. We even have some guests who meet here and then come back together during the next trip! When’s the last time a guest experience stood out for you? Guests often touch my heart. A couple weeks ago, a guy from California arrived. His house was destroyed by the wildfires. He shared the entire story. He lost a signed poster of Robert August to the fire. Robert August is a part of our camp, so I got a new signed poster for the guest. He was super excited, and even I started crying over it. It’s a great memory. It’s definitely the chance to meet new people every day, from all over the world. We’ve had guests arrive from as far away as Russia and New Zealand. We also have return guests, which is great because they really bond with us. Some of them come looking for me right away. It’s really fun. 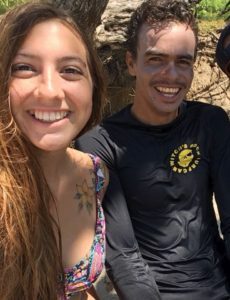 We also see a lot of different people—everyone from solo surfers to big families to groups. There’s a really big range. Just last week, two brothers in their 60s arrived to learn to surf. Even though it was their first experience surfing, they got so into it and had a really nice vibe. Those two really got me as well. Besides surfing, what types of things do guests enjoy? The non-surfing tours are very popular. The catamaran and zip-line tours are favorites. There is also the estuary tour, which is great because it’s right here at the camp. Yes, I started last year here at Witch’s Rock! I had tried a couple timed before but became very motivated working here. I started surfing with one of the instructors here. In the water everyone is super nice. You get in the water by yourself and by the end of a session you have 10 different instructors helping you! 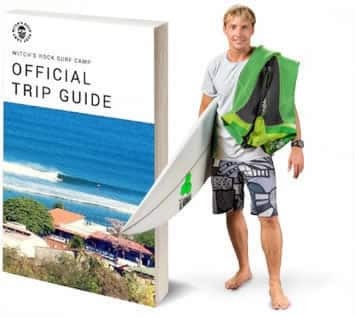 Why should someone visit Witch’s Rock Surf Camp? If you really want to learn to surf, this is the place. The vibe here is really nice. The instructors are great. And by the end of the week, you’ll leave with new friends. That’s one of the most important things, I believe. 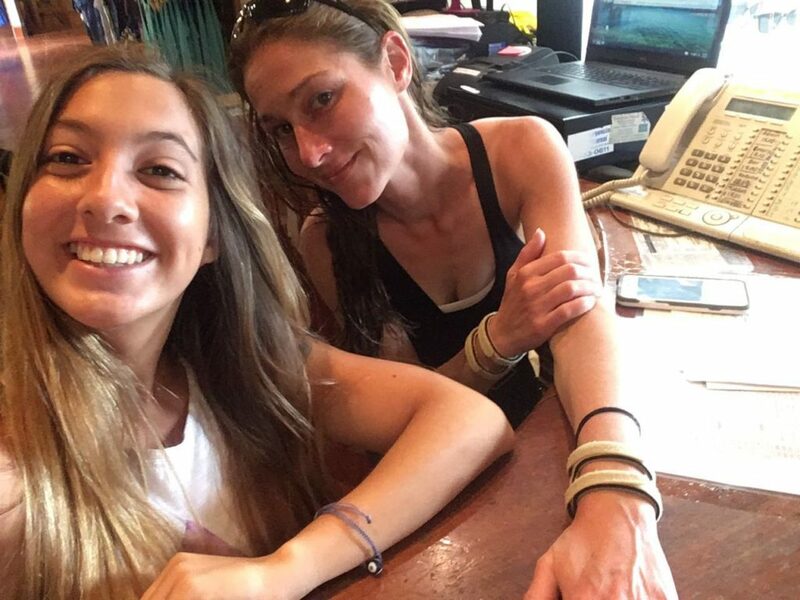 You will find Sara and her colleagues at the front desk, ready to make your trip an exceptional one.